Would anybody have a script that would plot a skew t from one site every 12 hours and then ftp the image to my web site? 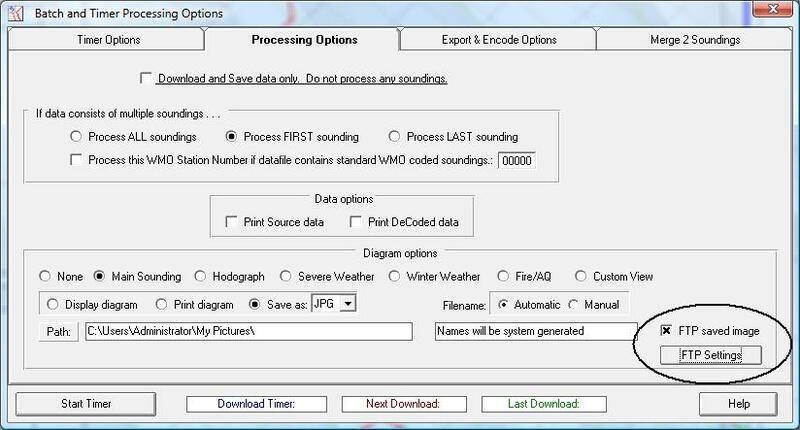 The RAOB program can be configured to download and create skewt images at user-defined intervals. However, the images can only be printed or saved to file. You would then need to find a way to send the saved images to your website. Do you have php available on your server? PHP a the script language used on websites, John. Like HTML but able to do server side calculations, parsing of data files and whole lot more. Thanks for the "php" information ... now I have something else to study up on. And for Gary's original question, RAOB can now retrieve sounding data form one site, create a SkewT image, and FTP it to another site, every 12 hours. The image was produced by a php script that grabs the sounding info and plots the skew-t. It requires you to have php available on your server and also access to cron so you can set it up to run every 12 hours.